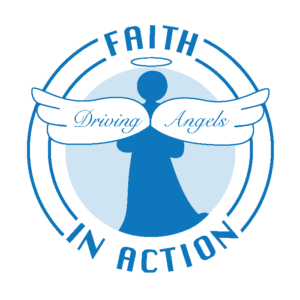 Faith in Action– Edwardsville/Glen Carbon is a volunteer based ecumenical organization which works with the community to provide services that support the independence and well being of seniors age 60 and above. FIAEGC was organized in response to the growing population of older Americans and the recognition that we must find ways to help that population continue to remain independent. A recent community assessment by United Way identified the need for greater access to health care as one of the key issues facing seniors in Madison County. Faith in Action helps to meet this need with our assisted transportation service. We are helping to provide seniors in our community with access to health care, enabling them to attend their medical appointments in a timely manner. While the need for all of our services is ongoing, studies indicate there will be an even greater need in the future. The U.S. Census Bureau predicts that by the year 2035, the 65+ age group will swell to nearly 70 million people or about 20% of the population. Faith in Action- Edwardsville/Glen Carbon plans to continue providing services to the growing number of seniors. It is our goal to be available when you, your family or someone you know is in need. To keep our services alive and growing, we need both financial donations and volunteers from the community. Please join us in our efforts. Your support means that Faith in Action will be here when you or someone you care about needs us.